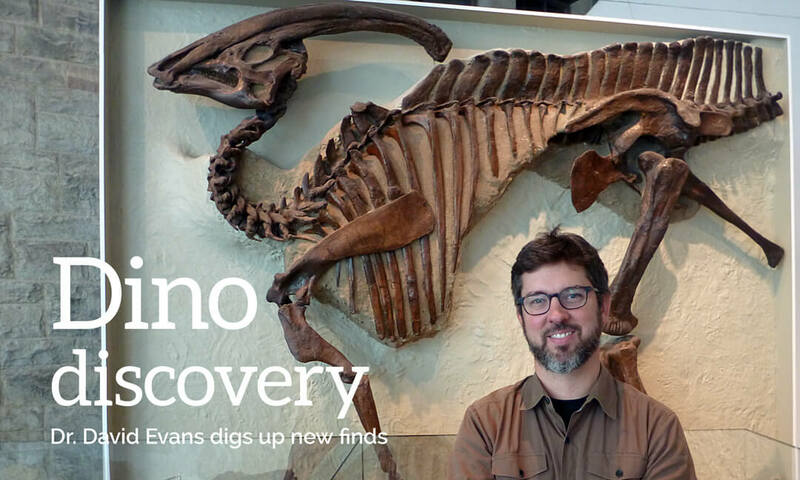 Deep in the Horseshoe Canyon of Southern Alberta, Dr. David Evans has made his most recent find—a new species of dinosaur from the Late Cretaceous epoch. “The delicate bones of these small feathered dinosaurs are very rare; we were lucky to have a critical piece of the skull that allowed us to distinguish Albertavenator as a new species,” says Evans, senior curator of Vertebrate Palaeontology at the Royal Ontario Museum (ROM). Walking on two legs, covered in feathers and about the size of a person, the meat-eater stalked the Red Deer River Valley about 71 million years ago. Fascinated with the ‘terrible lizards’ (the Greek definition of dinosaur) since a young age when he first saw the dinosaur skeletons at the ROM, Evans gave his first talk on the subject while in kindergarten. His teacher asked him to present to the grade one students to share his interest, knowledge and enthusiasm about dinosaurs. Evans went from visiting the ROM at a young age to working at the ROM and now holds the Temerty Chair in Vertebrate Paleontology. Located in Toronto, ROM is Canada’s largest museum and home to a world-class collection of 13 million artworks, cultural objects and natural history specimens featured in forty gallery and exhibition spaces. 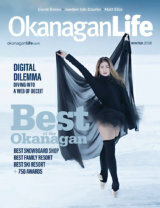 Participating in expeditions all over the world, the Kelowna-raised palaeontologist and graduate of the University of British Columbia has helped discover ten new dinosaur species in the last five years. Evans will unveil one of his latest discovery, the exceptionally preserved ankylosaur, Zuul crurivastator, a 76-million-year-old dinosaur specimen, at an upcoming ROM exhibition opening from mid-December to May 2019. Zuul was found only 25 km from the Alberta border, in the badlands along the Milk River. 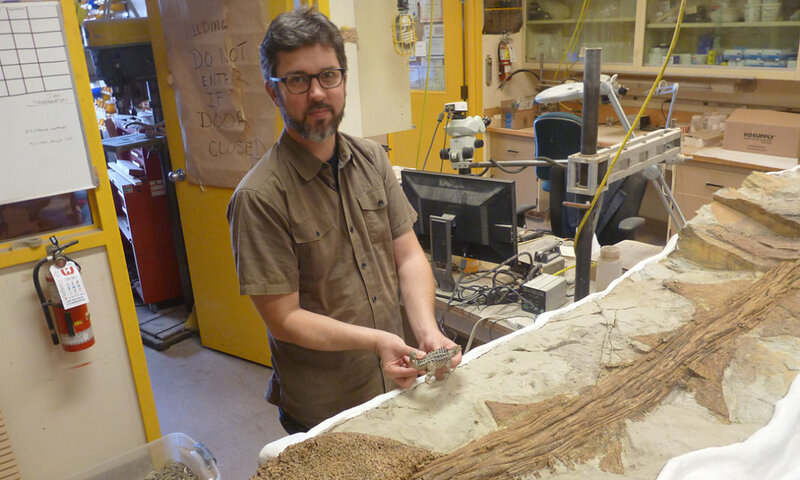 A ROM team led by Evans has been working in the same layers of rocks for almost 15 years as part of the Southern Alberta Dinosaur Project. “The preservation of the fossil is truly remarkable. Not only is the skeleton almost completely intact, but large parts of the bony armour in the skin are still in its natural position. Most excitingly, soft tissues such as scales and the horny sheaths of spikes are preserved, which will be a focus of our future research,” says Evans who together with dinosaur expert Dr. Victoria Arbour named Zuul as a new species of dinosaur in 2017. For the exhibit, the museum has recreated the Cretaceous world Zuul inhabited. Through cutting-edge technology and interactive storytelling, the exhibition explores how this mighty dinosaur, bristling with armour and a menacing tail club, lived. The new species of ankylosaur has a short snout, long horns behind the eyes and gnarly face resembling Zuul, the fictional monster from the 1984 film Ghostbusters. Its species name, crurivastator, means ‘destroyer of shins’ for its menacing, weapon-like tail club. “Zuul not only enables us to unlock clues about armoured dinosaur evolution and how they lived, but also the rich fossil fauna found with Zuul lets us paint a vivid picture of its lush ancient world and reflect on climate change and extinction,” he says. His study of the extinction of dinosaurs has led him to ask what are the lessons that can be learned. How and why has life changed on the planet? What about biodiversity? What about marine reptiles? How did they survive? Whenever he can, he shares his enthusiasm for his research and encourages people of all ages to be curious and interested in science, dinosaurs and biodiversity. 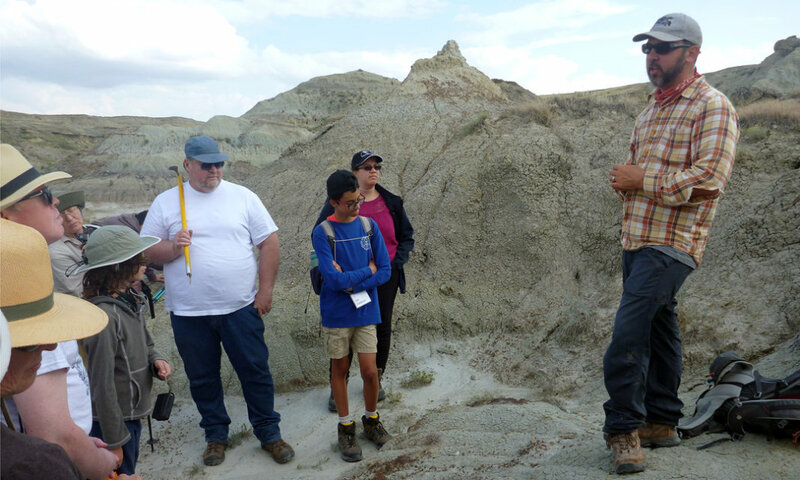 In August, a group of dinosaur enthusiasts from across North America embarked on a four-day guided tour to explore several dinosaur quarries in Dinosaur Provincial Park and along the Oldman River. The Dinotour was a rare opportunity to meet Dr. Evans in the and the team of palaeontologists from the fossil preparation lab from the Royal Tyrrell Museum in Drumheller. “We work together in an active role to inspire and educate the public at large to be interested in science,” says Evans. 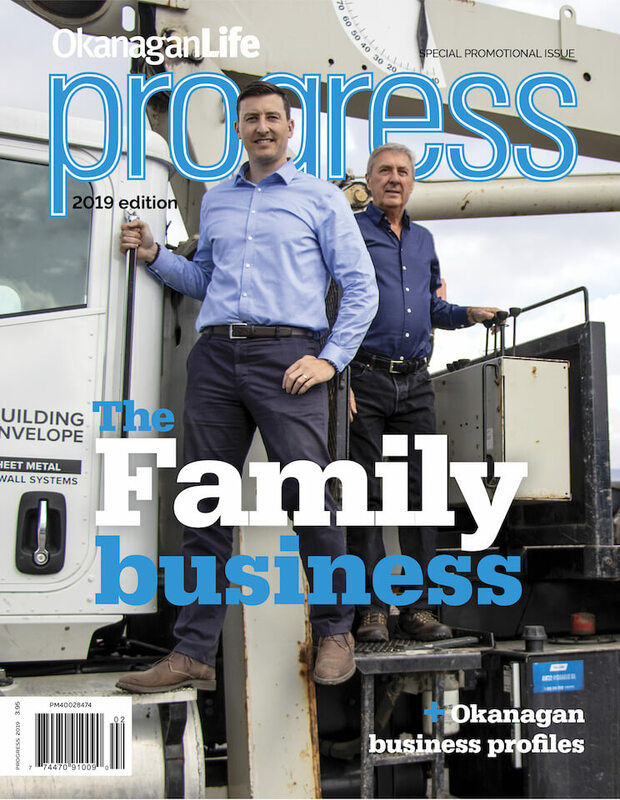 “We try to teach people about the scientific process and the importance of science in our lives and raise the awareness of the value of fossils.